The premiere opens with a shootout where a police officer is gunned down by criminals and the SWAT team is called in to help. Bullets fly in all directions and in the ensuing chase SWAT team leader Buck shoots an unarmed black kid -- Raymont. Hondo attempts to save the Raymont's life while bonding with him over being a local. Jessica Cortez calls on Deacon to lead the team while Buck is investigated. We soon find out that Hondo and Cortez are in a steamy relationship. Jessica wants to make things more official and asks Hondo to sign a "Professional Relationship Disclosure" form. Ambushed at a live press conference, the SWAT team learns that their leader Buck has been fired, and Hicks names Hondo as his replacement. 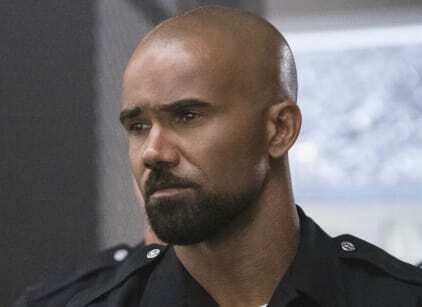 Hondo is upset, believing that Deacon was next in line for the position, and convinced that Hicks is using the color of Hondo's skin to make peace with the neighborhood. Hondo is introduced to his new team member, Jim Street, who's been transferred from Long Beach. Young, eager, and borderline reckless. Hicks believes the locals have started a war against law enforcement and urges Mumford's team to be aggressive. Hondo protests, believing that the community should be treated like family. Buck leaves, explains to Hondo that he request Street be added to the team, and encourages H to lead the team in his own way. Hondo wants to visit Raymont in the hospital and Cortez tells him not to. Cortez tells Hondo they can no longer be in a romantic relationship because she is now his direct supervisor -- neither is willing to let the other give up their job. Hondo is training early in the morning when Street arrives. Street reveals that Buck knew him because he had arressted his mom years ago. Hondo gives a pep talk about putting your aggression elsewhere so he can successfully do his job. Hondo goes to see Raymont in the hospital and explains to him and his family that he used to be a young boy who was mistreated by the police and that he decided to join them to try to change things. There is a shooting threat at a local school and SWAT is called in to help evacuate the children. While there Raymont's cousin gives Hondo a tip about his friend Durante, a former sniper, who wants to overthrow the government and may have been responsible for the shooting. When the SWAT teams goes in search of Durante they find out that he, the guys from the tow truck company, and the gun runner that Buck lost during the chase, all served together. They realize all of these events are connected. Deacon, Tan, and Street head to the garage and figure out that the school threat was a distraction and the bad guys are going after banks. Before Hondo and Chris can take them out, Mumford's team gets called to the bank robbery and their cars get blown up by the ex-military men. Hondo and the rest of the team take them out shortly after. The team gathers to hang out, betting, and arm wrestling each other. Hondo leaves so he doesn't the boss doesn't kill the vibe. He goes to see Cortez to try and save their relationship. Before the kiss, the SWAT teams is called out on another case.